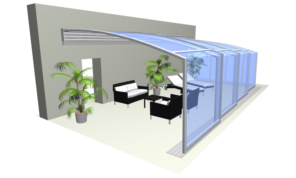 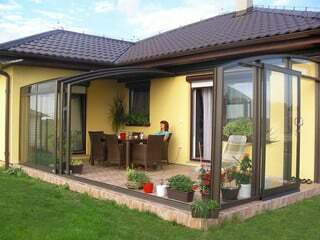 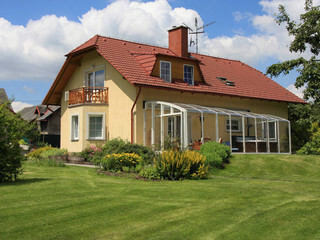 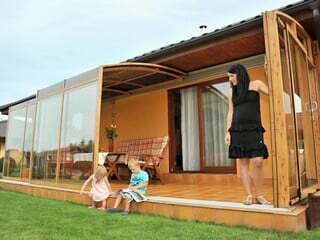 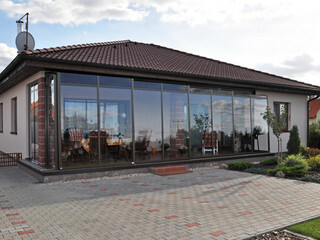 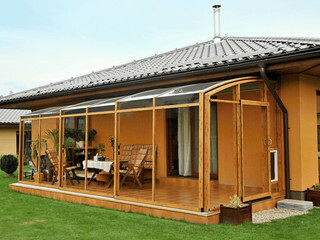 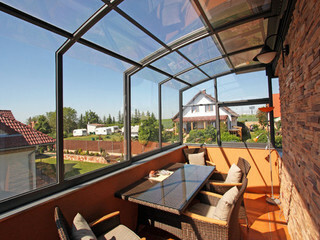 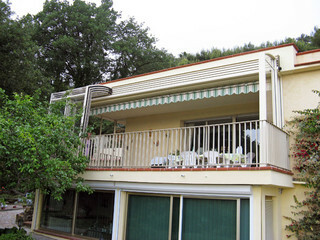 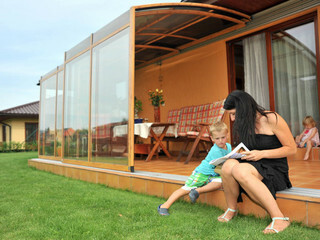 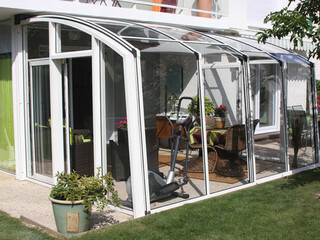 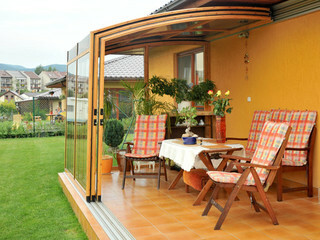 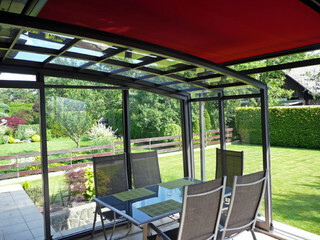 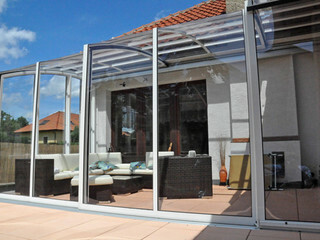 The shape of the patio cover CORSO Solid will suit each house. 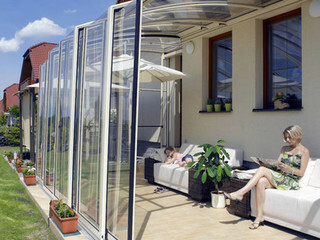 Ist moderate enclosure arch complements the vertical wall made of aluminum filled with compact polycarbonate - clear or smoke. 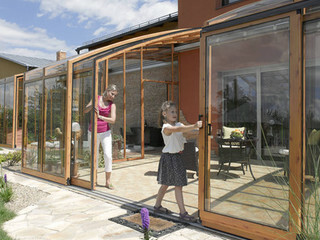 Retraction lock on this model is placed near the bottom rails.